When a plug socket needs installing or a fuse changing, there can often be a temptation to sort it yourself. However, this is only advisable if you have the appropriate electrical skills. If you don’t know what you’re doing, you could be putting yourself at risk. To ensure any electrical work is conducted safely and efficiently, it’s always worth calling on the services of a professional electrician. Here at Mr. Electric, we offer a full range of electrical services to commercial and residential customers in Truro, from routine testing and repairs to light installations and wiring upgrades. We’re also available 24/7 to attend to any electrical emergency, with our local electricians able to respond to urgent calls within 45 minutes. It is our professional duty to inform you of any electrical hazards that we encounter in your home or office and offer you expert advice on the solutions available to you. As part of every callout, our technicians will make sure to conduct a free electrical safety inspection, giving you peace of mind that all installations in your property comply with current safety standards. If any remedial work is necessary, it will be explained fully by our electricians and quoted prior to completion. We always treat customers’ premises with respect, making use of shoe protectors and dust covers to minimise disruption and ensuring your property is left in perfect condition when work is completed. Our technicians drive marked vehicles and wear full uniform, so you can be safe in the knowledge that you’re dealing with a professional. If in doubt, they’ll be more than happy to show your their ID. Through continuous staff development, our electricians’ skills and expertise is always kept up to date. Our commitment to excellent customer service starts with a fair and transparent approach to pricing. The cost for all of our services is fixed, whether it’s a fuse box replacement, full office rewire or commercial lighting installation. Because we quote for all work upfront, you’ll always have control over the cost, and we won’t start any additional work before letting you know the price. We’ll never charge you for a survey or advice – the only thing you’ll pay for is the electrical work itself. Customers in Truro trust Mr. Electric to provide a professional and efficient electrician service. Get in touch today to find out how we can help you. This company’s customer service is outstanding. Prompt replies and true commitment shown through their communication. Will be sure to put them in the line-up for future quotations. 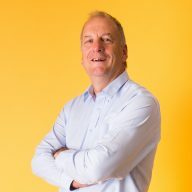 Alan is one of our most experienced electricians, having worked in the electrical profession since he was 16, he started out as an electrician in the navy where he worked for 24 and a half years, before becoming a domestic/commercial electrician. Alan joined Mr Electric in 2012 and has since become our QS in 2014. Alan is a Rugby union referee. Keep an eye on the Mr. Electric blog for our latest tips and company news.